Catherine's book Reimagining industrial sites: changing histories and landscapes has just been published by Routledge. Catherine was appointed Fellow of the Society of Garden Designers for her invaluable contributions to the Society over many years. We were commissioned to design a community orchard for a development under consideration for Oldbury on Severn in Gloucestershire. 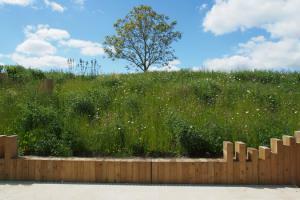 DesignWild was commisioned to design a large garden in Hertfordshire including a wildflower meadow, hedges and long season perennial borders, all of which will enhance the biodiversity of the site. DesignWild was appointed to design the Wildmill Adventure Community Park, in a disused quarry in Wildmill near Bridgend. The RSPB wildlife garden features in this month's RSPB magazine and will also be part of their focus on giving nature a home at the BBC Gardener's World Live show this summer. Catherine has received her doctorate from the Department of Landscape at the University of Sheffield. Her research examines perceptions of landscape change in post-industrial sites. 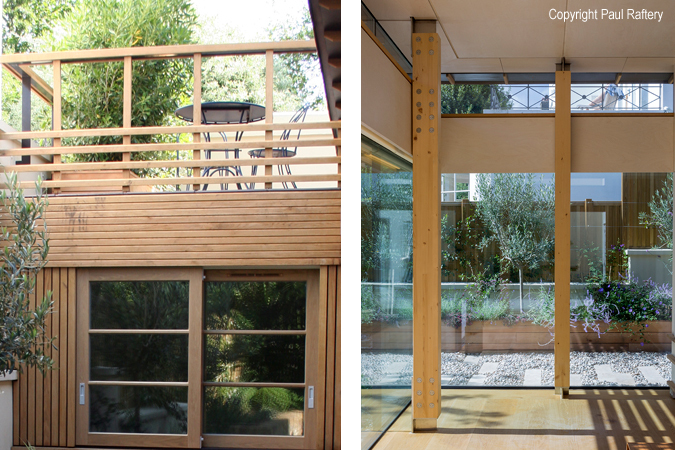 We have worked with architects, Cullinan Studio, to design the garden for a Hampstead townhouse. 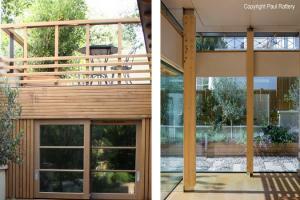 The garden and contemporary extension are completed. Take a walk around the project in this short film. Take a walk around the RSPB Widlife garden with Youtube. DesignWild's RSPB garden featured in the Sunday Telegraph. The article covers all aspects of creating a garden for wildlife, together with some good tips and suggestions for simple things to do in your garden. The London Evening Standard features Catherine's garden. 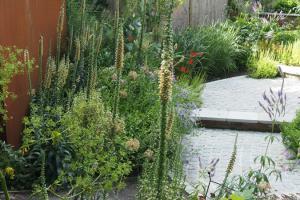 The garden is designed to demonstrate the multiple ways we can encourage wildlife into an contemporary urban garden. DesignWild Associates are collaborating with architects at Cullinan Studio to design the planting for a new primary school in Swindon. The Landscape Institute are launching their New London Landscapes website at EcoBuild this week featuring the Multi-Storey Forest, a conceptual design for a car park in Wood Green in London. Scotscape Landscapes and Building and DesignWild Associates are delighted to announce that they will be collaborating on projects that will pool their expertise in living walls and roof gardens, with contemporary landscape and garden design for biodiversity. 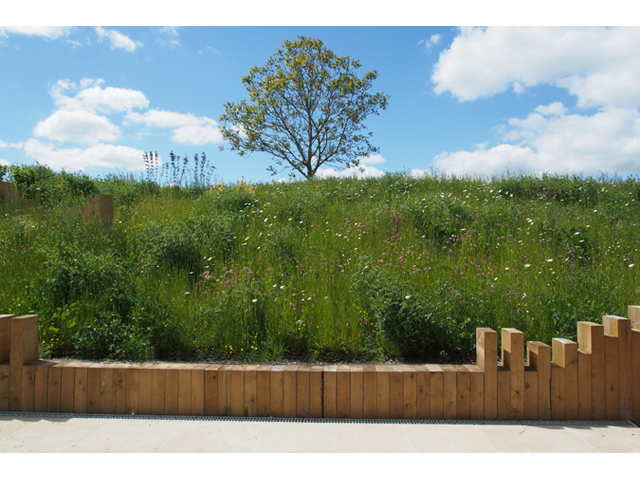 DesignWild Associates and the RSPB garden have been shortlisted for the Sustain' Awards 2013.